Suddenly it twigs! 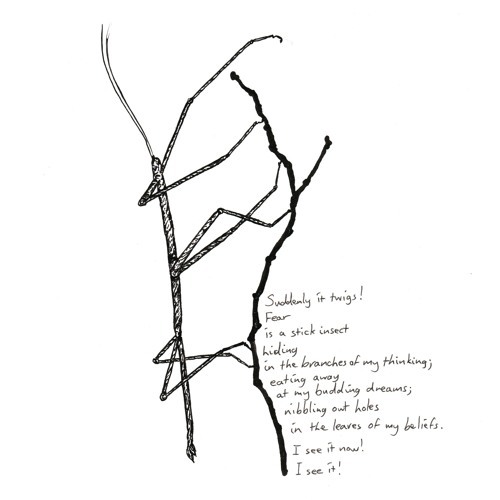 Fear is a stick insect hiding in the branches of my thinking; eating away at my budding dreams; nibbling out holes in the leaves of my beliefs. I see it now! I see it!